Amazon's Prime Day is here, and with it hope that this will be the next best opportunity to pick up an Apple Watch smartwatch on the cheap. Apple doesn't tend to get in on the Prime Day action itself, but Amazon and other retailers may have some Watch stock to shift for a bargain price. The best way to make sure you don't miss out on any Prime Day deals action is to bookmark our Amazon Prime Day page. Your next move if you're only interested in all things Apple, is to keep this page open on a spare browser tab. We'll be adding in all the latest deals as they drop. Along with Amazon, we anticipate that other retailers will jump on the Prime Day bandwagon and offer their own discounts to get in on the action. In the UK, the likes of Argos, Currys PC World and Very. In the US, keep an eye on what the likes of Walmart and Best Buy have to offer during this time. As we said, when these deals go live, you'll hear about them below. 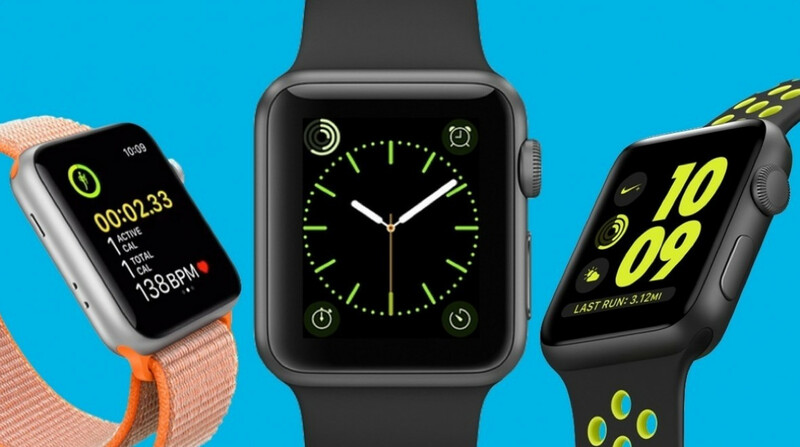 We've profiled the various Apple Watch models and their differences to make sure you buy the right watch for you (or someone else). It might be a push to hope for some major Prime Day deals for the newest Apple Watch, but we live in hope. Especially when we expect the Apple Watch Series 4 to rock up before the end of the year and there are already slight discounts on offer. The headline feature is the LTE support to have that more standalone experience where you're less dependent on the your iPhone. It also has the best battery life of all the Watch models based on our experience and includes all of the great sports tracking features that have been added since first Apple Watch. Read our Apple Watch Series 3 to find out what we love (and still love) about the Apple's latest smartwatch. Like the original Apple Watch, Apple doesn't sell the Watch Series 2. But you can still pick it up from some retailers and could prove on of the Prime Day deals where you can save a decent bit of cash on the Apple Watch. Unlike the Series 3, there's no LTE option but it does have GPS, swim tracking, a heart rate monitor and will be upgradeable to watchOS 5. With the decision by Apple to stop selling the original Apple Watch, the Series 1 is essentially your entry level option. But don't let that put you off, it's still a solid Watch to go for. Bottom line, you miss out on GPS, LTE and waterproofing. But if you care less about the sporty features and more about core features like notification support and everything else that watchOS brings to the party, this is your one. Read our Apple Watch Series 1 review to find out what we thought about the cheapest Apple smartwatch. Apple teamed up with Nike to offer an even sportier-looking version of its smartwatch, which essentially involves including a new special edition Nike watch strap and some Nike-branded watch faces. With the latest Nike+ edition Watch, you'll still get all of the same features as you would get on the standard model including built-in GPS, a waterproof design and a heart rate monitor. If the sportier design appeals to you then that would be the biggest reason to opt for the Nike+ Watch.